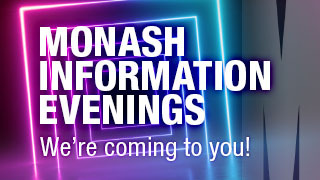 Arts at Monash is your comprehensive gateway to a wide range of fascinating and rewarding areas of study across the arts, humanities, and social sciences. 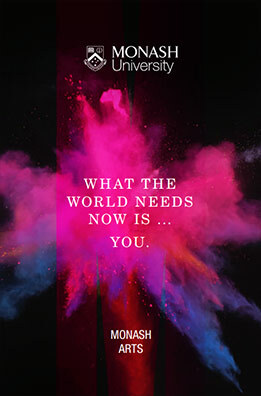 Taking an innovative approach in tackling world issues and fostering a global perspective, you will develop the research skills, advanced discipline knowledge and self reliance to acquire information, assess evidence and convey complex ideas in speech and writing in order to answer complicated questions. You’ll have the scope to choose from almost 40 different major and minor areas of study, including languages, social studies, communications, politics, human rights, and international relations. 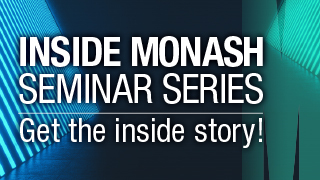 And with access to the Monash Arts Global Immersion Guarantee you will develop an informed, critical awareness of the fields you're most passionate about, laying the groundwork for a wealth of exciting careers. The Bachelor of Arts offers both diversity and focus, and builds informed, skilful and critically aware citizens of the world. In addition to your major, you can sample from a wide range of study areas, giving you a comprehensive base across areas in the arts, humanities and social sciences. You'll develop a rich understanding of human difference and communication, the complexities of social organisation, and humankind's trajectory through the past and into the future. 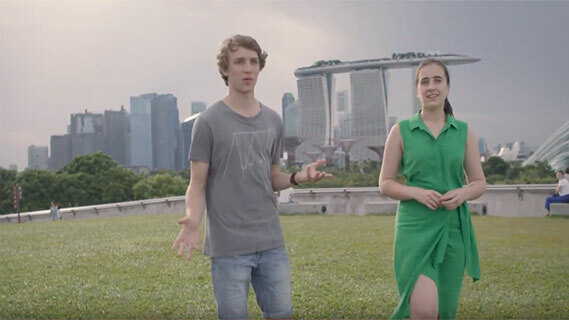 As a student in the Bachelor of Arts you will have access to the Monash Arts Global Immersion Guarantee – a guaranteed* funded overseas field experience to India, Italy, Indonesia, China or Malaysia. A new benchmark in globally-focused education, you will have the opportunity to spend two weeks studying overseas, with airfares and accommodation all covered as part of the degree. With many opportunities to undertake study overseas, or via a study tour or internship program, the Bachelor of Arts will prepare you for global employment opportunities in a wide range of occupations and settings. *This Guarantee does not apply to the Law Pathway which requires an ATAR of 90.25+. High achieving students can progress into the Master-level units at the completion of 96 credit points (end of 2nd year full time). VET Diploma graduates: To be considered, applicants who have completed VCE or its equivalent and who are applying with a Humanities or Social Science based diploma will require an average result of at least 60%. Applicants who have not completed VCE but have completed a Humanities or Social Science based diploma will require an average result of at least 70% Programs that involve competency-based assessment without grades or marks will not meet the admission requirements. University: To be considered on the basis of tertiary study alone, applicants who have completed VCE or equivalent will be required to complete the equivalent of one year (48 credit points) of a recognised university degree and will require an average result of at least 60% (including failed units). For applicants who have completed less than the equivalent of one year of study, both the senior secondary qualification results and the units completed will be considered. For applicants who do not have any formal qualifications completion of two single units at an Australian higher education or equivalent overseas educational institution satisfy minimum entry requirements, but four units are recommended to be competitive for selection, especially in Humanities or Social Science areas. Applicants should have at least a 60% average in their studies (including failed units). Studies must have been completed within five years of intended commencement. You will complete a focused program of study in one Faculty of Arts listed minor area of study which, in conjunction with your Arts listed major, will give you the opportunity to broaden your knowledge of arts, humanities and social sciences. In addition to your minor, a mix of other Arts electives units in this section may be taken across a diverse range of areas, or used to complete a second minor, or added to your first minor to complete a second major. This will enable you to pursue your choice of further studies in arts, humanities and social sciences or (having met any prerequisites) areas of study from across the University. You can select from a wide range of units, allowing you to follow your interests and if you wish, to form additional minors or majors. In total up to two majors can be listed on your testamur, including your Arts listed major. Did you know a third of all Fortune 500 CEOs have liberal arts degrees? A career in any industry is possible with an Arts degree. Hear from global leaders on why they value Arts graduates, and from alumni on where our Bachelor of Arts can take you.